We are starting the BM#49 Edition first week today. I will be starting with some desserts that I had suggested being cooked from a list. You really won’t believe the amount of time I spent on this list, trying to see what I can make that my nonsweet eating kids will eat. Finally, I landed on the Indian list and again looked at Jalebi and Rabri. I had bought the ready mix, after eying the pretty Jalebi press. Trust me the packet has been lying in the pantry for a while, as I had got this for some previous editions. I couldn’t make then and now I was running out of time. Seriously until I clicked and almost many days after it was completed, when I editing, did I realize that another component for this sweet was missing! Well, I was planning to make Jalebi Rabri. However since I had already completed the packet, there was no way I could get another dish done. If you must know, the other two desserts were being done in my mind for the 100th time, though in actual it’s far from being done. 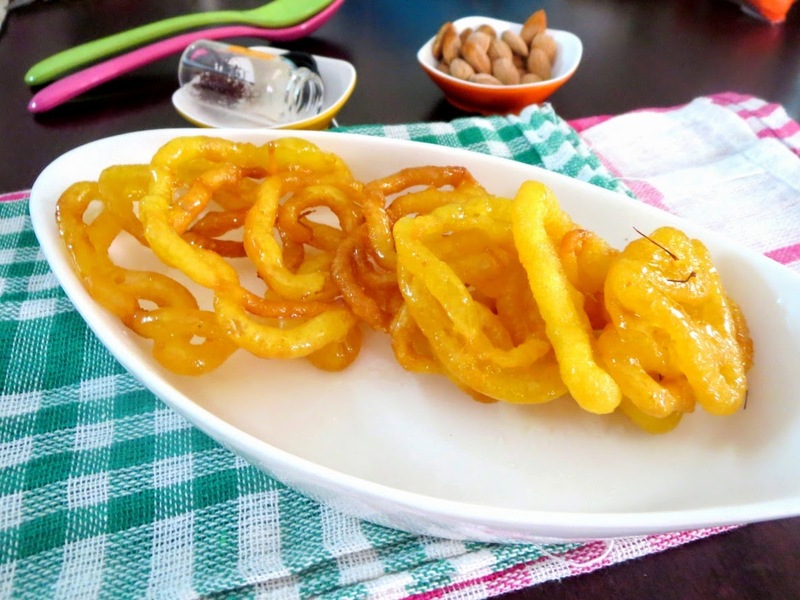 So, friends, you can drool over the pictures again and check my Jalebi post for the homemade version of making Jalebi. For today, all I did was mix the packet, make the sugar syrup, have some deep fried love and indulge in heaven! In fact, I took the whole lot to my friends, who welcomed me with wide arms for the way it tasted! Since Jalebi is a street food, thought of sending this to Vaishali for her Blog Anniversary Celebrations. 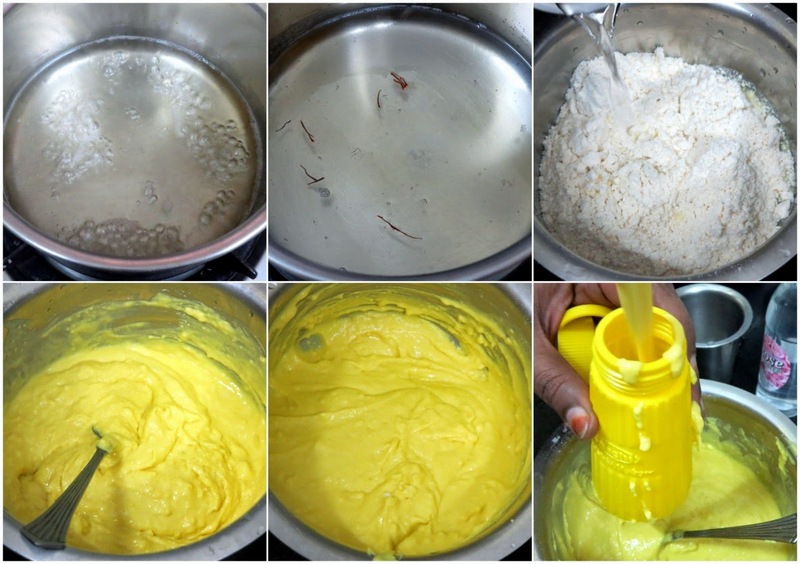 Mix the powder with enough water to get a dropping batter. Transfer to the press. Heat a Kadai with oil. 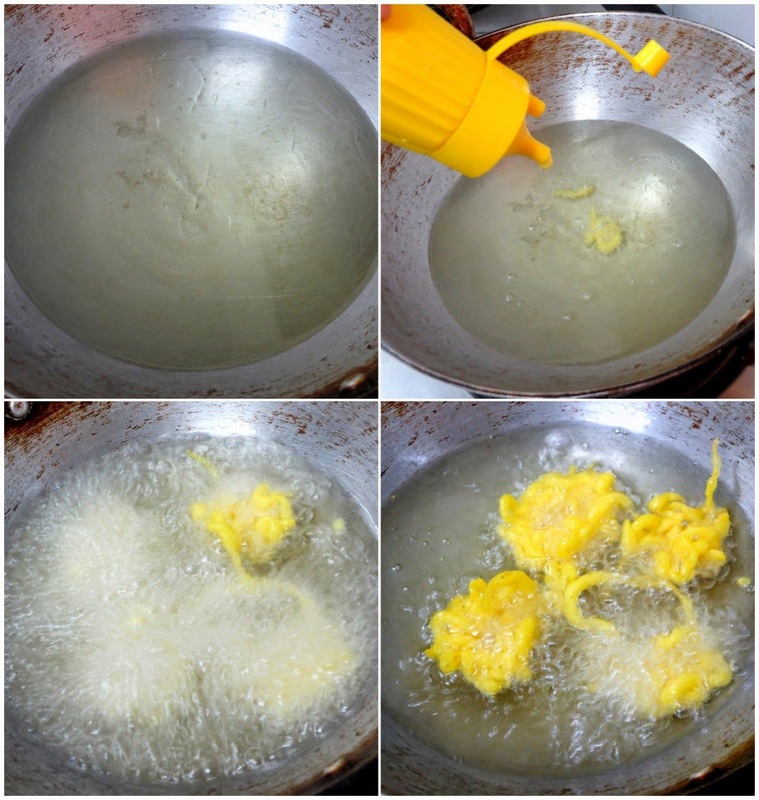 When the oil is hot, press out the Jalebi Press directly over hot oil and swirl to circle as Jalebis. When it comes up and done, flip to the other side. Meanwhile have sugar melted with water enough to cover. Cook for 10 mins. When the Jalebis are fried, drop into the sugar syrup and ensure it gets coated well. 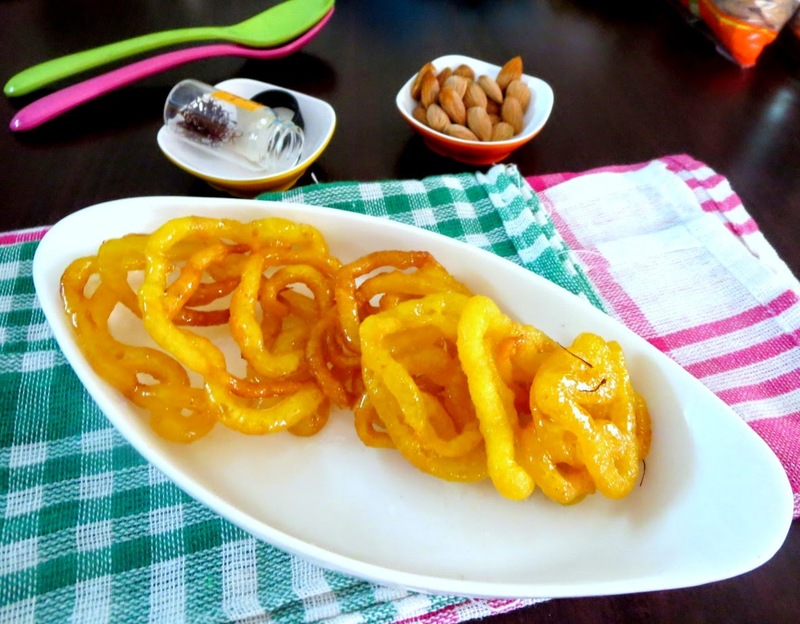 Jalebi is my all time fav dessert and I would love to try with store bought instant mix. I remember seeing that plastic jalebi press in India. Jalebis turned out perfect. The jalebis remind me of the ICC …when I had a tough time getting those spirals. .it sure is tricky..but man jow ilove these juicy yummy Indian sweet. Valli thanks a ton for sending it to the event. I buy some whenever I feel like eating jalebis. Never tried making them at home.Your store bought packet version also seems delicious. I know how difficult it is to get the shape, looks yummy and delicious. You can tr making with the zip lock bag or piping bag the shape comes much better as you can give constant pressure. Spirals n sweet stuff .. Jalebis sure remind me of dad who used to bring them hot n juicy from the store..
Those shapes are tough to get!!! But one should not mind the shape and enjoy its taste alone!!! Turned out great! Hard to please kids who don't like traditional sweets. 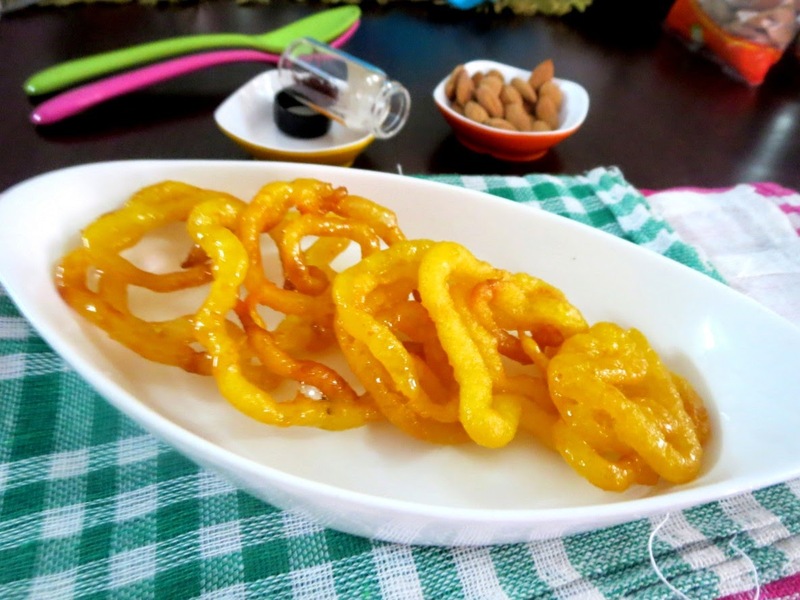 Can have this yummy Jalebi anytime..Forget the perfect shape, it just tastes heavenly. Now make jelabi rabri for BM meet Valli. Will love it. Jalebis are my favourite but i never tried with store bought mix, will give a try with store bought mix soon. These jalebis have turned out great. Yummy. I have tried making only once for ICC..